Waukesha's Ultimate Home Improvement Resource - 4 x Best of Houzz! HomeSealed Exteriors, LLC is a family owned, exterior remodeling company with a focus on energy efficiency. We replace windows, doors, siding, roofing, and more. What makes us different? - No hassle buying process. Our project consultants are exactly that: experienced pros with a goal to educate and inform you, not simply to sell. - Personal Customer Service from the initial appointment through the final installation and beyond. - Top performing products. Our products are proven to be the best by independent performance tests. - 2X's Lifetime warranty on vinyl windows, doors, and siding. Full lifetime product warranty and lifetime on workmanship/installation. Don't get SOLD, get SEALED, with HomeSealed Exteriors! Waukesha's Window Specialist | 5x Best of Houzz Winner! Cardinal Homes is a full service exterior remodeler located in New Berlin, WI. 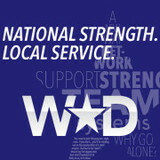 We continue to strive to be Wisconsins most reliable contractor. With over 20 years experience, we can handle any project. We treat our customers with repsect and consider it a privilege to work on their home. Cardinal Homes is fully licensed, bonded and insured. *Authorized Dealer of Andersen Windows & Doors* Drexel Building Supply is a leading provider of building materials and services to professional contractors and homeowners throughout Wisconsin.Drexel's mission is to SUPPLY HAPPINESS to it's clients, team members, and the community. Since 1985, Drexel has remained committed to providing quality products and services. Drexel serves most of Wisconsin with seven locations located in Berlin, Brookfield, Campbellsport, Columbus, Kiel, Sheboygan Falls, and Wrightstown Wisconsin. Authorized Dura Supreme Cabinetry Dealer. Zen Windows was founded by Dan Wolt on the idea that buying windows should be a simple, pleasant experience. Gaining experience in a competitive window market, Dan worked with a company that prioritized high-pressure sales and long, drawn-out presentations. The company he worked for hired out fly-by-night contractors who were never guaranteed to show up and do the work. All the while, he was required to charge up front for these services. While out shopping one day, Dan had an epiphany: buying windows should be as simple as buying clothes from a local boutique. Leaving the rat race of corporate sales behind, Dan launched Zen Windows. Rather than sales and commissions driving the company forward, it’s a belief that Zen should provide respectful, efficient, quality service to customers. Buying windows shouldn’t be painful; it should be simple. That simple, pleasant experience has gained traction in the window replacement market. Distinguished by intense personal attention, high-quality products, and extremely professional technicians, Zen Windows has grown from a local company in Columbus, Ohio into a national brand with several locations. Across the United States, Zen Windows is changing the way that people buy replacement windows. We Knew We Could Be A Different Kind Of Home Improvement Company… Then We Went Out And Proved It. When you’ve been in the home remodeling industry for as long as I have you see a lot of things – both good and bad. I can’t tell you how many times I thought that if I had my own company things would be different – very different. In 2007 I took the leap and started Soberg Window and Door Company. I took all of those lessons and vowed to create a company that people would actually enjoy working with. The formula really isn’t very complicated. We offer outstanding products, install them to the highest professional standards, and make sure you are happy and satisfied every step of the way. From the first time we speak you will see the difference – starting with the complete lack of ANY sales pressure or price manipulation. We are 100% completely and absolutely transparent. It’s very different from the typical home remodeling company. That’s just the way we planned it. Weather Tight is Wisconsin's Largest Contractor and Most-Recommended Remodeler provding energy saving improvements. Serving southeast Wisconsin for 30 years, Weather Tight is trusted by over 20,000 satisfied customers and has over a 97% satisfaction rating. They proudly sell and install quality windows, doors, roofing, siding, doors, and gutter protection. Woman owned remodeling business that offers quality products in windows, siding, roofing and doors. ClearView Windows, Siding & More, established in 2005, is a locally owned exterior home improvement company specializing in windows, doors, siding, soffit, fascia, gutters & awnings. ClearView offers a wide variety of suppliers such as SilverLine Windows, an Anderson Company, Pella Windows & Doors and Sunsetter Awnings. We are conveniently located at 2925 61st St. in Kenosha, WI. Call us to make an appointment or fill out the contact information to schedule a FREE in-home consultation and you’ll agree that we are “Clearly the Right Choice!” Call Today 262-960-3155 All ClearView installations are performed by company employees with pride, attention to detail and with the highest standards to meet the customer’s needs… we never sub-contract. HomeTowne Windows and Doors Inc. replaces windows, doors, siding, and gutters. HomeTowne features national brands like Pella, Marvin and Soft Lite. HomeTowne Windows employs their own carpenter installers. No subcontractors. 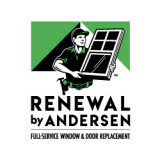 Renewal by Andersen - Milwaukee is your exclusive provider of Renewal by Andersen replacement windows in southeastern Wisconsin. We bring new life to customers' homes with windows and doors that welcome in the light and frame a more beautiful world. Renewal by Andersen - Milwaukee has been serving all of southeastern Wisconsin for over fifteen years. Over that time, we have a track record of outstanding workmanship and superior customer service that cannot be rivaled. We promise to make your project easy and exceed your expectations every step of the way. Easy and stress free: that's what everyone wants when tackling a complicated remodeling project like window replacement. We'll do everything in our power to make your project easy and remove every worry out of the equation so you can feel comfortable and confident that you made the right decision. Delivering absolute peace-of-mind because your home matters. See for yourself the difference our standards for quality and service will make in your window and door replacement experience. We make it easy. Renewal by Andersen replacement windows were developed to meet the needs of an increasingly knowledgeable and environmentally-aware public. Andersen Corporation created its innovative Fibrex® material – a composite made from 40 percent reclaimed wood fiber by weight – to address the needs of the clientele who may want the look of wood, but the durability and low maintenance features of a vinyl product. Fibrex material is virtually maintenance-free and rot-resistant. The windows are custom-made in all window styles: double-hung, gliding, casement, awning, and picture window. For decades, Brimar has built an innovative line of decorative trimmings and drapery hardware cultivating signature designs in residential and commercial spaces. Renowned as a leader in the interior design industry, Brimar provides inspiration to transform your vision into reality. As a client, receive breadth of product, well-appointed design, endless color possibilities and exceptional quality and value - all hallmarks of the Brimar brand. Included in our family of brands is Bargia and Decofuse where thousands of products await you. Here you will find the best and most extensive lines of quality windows, doors (both interior and exterior), storm doors, retractable awnings, and laminate closet organizers. The best products demand the best installations, so KOBYCO has a full staff of qualified and experienced employees. Our office and showroom staff, sales consultants, and fully insured installers will make your remodeling experience a hassle free and pleasant experience. Whether you are building a new home or remodeling and updating, you can be confident that KOBYCO, INC. will handle all of your needs. Cracked or foggy glass? Windows won't stay up? Missing or broken parts? Rotted frames? We can repair almost every make and model window or door in existence today. Save time and money by repairing rather than replacing. We have a network of resources to help you find what you need and fix what you already own. *Authorized Pella Platinum Certified Contractor* Southeastern Wisconsin's Finest Home Remodeling Company Brothers, Aaron and Eric Brown, lead this second generation remodeling company after being raised in the business by their now retired father, Jim Brown. Today, the boys are very active in the business and continue to pass their trade tips, work ethic, and expectations to all of Siding Unlimited's carpenters, installers, sales team, and office staff to help the company succeed. Bringing on great people only makes us stronger and it shows in the end results, your home's beauty. Together, we can do it all. Milwaukee's only Platinum Pella Certified Contractor When it comes to wood windows, we are believers in Pella. Our crew of carpenters are second to none and have earned us the ability to say we are Milwaukee's only Platinum Pella Certified Contractor. Superior Siding Transform your home with our stylish siding options. 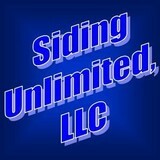 We are one of Wisconsin's best window companies when installing LP Smartside and Vinyl siding. Our attention to detail allows us to deliver on quality siding installation and style. Call us today for a FREE ESTIMATE. Cutting-Edge Roofing Protect your home with our long-lasting roofing solutions. We use only the best-quality products such as CertainTeed, Matterhorn, and Atlas shingles to ensure durability and integrity. Visit our showroom at 665 Larry Ct in Waukesha. Whether you’re building a new Muskego home, remodeling an old one or just replacing a few windows that are past their prime, your window dealer in Muskego, WI will help you pick the right windows for your needs, home style and budget. Windows come in so many sizes and types that expert advice and direction is invaluable in helping you make the best decision. These pros can also help you with custom window designs that complement your space better than something ready-made. Lastly, if you are interested in doors with windows, these experts are also knowledgeable about sliding doors, French doors and other paned portals. Find a window dealer on Houzz. Narrow your search in the Professionals section of the website to Muskego, WI window dealers. You can also look through Muskego, WI photos to find examples of windows that you like, then contact the window professional who worked on them.